We will make your last three months lease payments on select models! Audi Exchange is more than just a car dealership. We are a dedicated group of Audi enthusiasts that are truly passionate about the Audi vehicles we sell and service. The Audi Exchange has been an established business in Highland Park, IL for over 40 years. Our dedication to our customer's satisfaction has helped us grow beyond just serving Highland Park, and now we are well known and respected across the entire North Shore, Schaumburg, Arlington Heights and Chicago, IL area. In fact, no one in the Midwest sells or services more Audi's than The Audi Exchange. That's why you'll find the largest Audi inventory with the best prices sold by the most knowledgeable and experienced sales and service staff near Chicago, IL. Whether you are looking to lease a brand new Audi, test drive a Certified Pre-Owned Audi, get a quote on the trade-in value of your current vehicle, secure auto financing or purchase an auto part, you've come to the right place. Visit The Audi Exchange at 2490 Skokie Valley Road, Highland Park IL 60035 today! The Audi Exchange is a Highland Park, Illinois Audi dealership providing a great variety of new and used luxury vehicles for drivers around the greater Chicago area. We carry popular models like the Audi Q5, Q3, A3, A4, A6, A7, Q7, A8 and many more. Our inventory of new Audi cars in Highland Park is sure to impress. From the Q7 to the A5 to the S3, there's an Audi for everyone at our dealership serving Chicago. You don't have to compromise on quality to save big. Check out our pre-owned Audi vehicles to find a like-new Audi for the price of a used Audi. Our Highland Park used cars for sale are meticulously inspected before they are presented to our customers. We hold ourselves to the highest standards, so Chicagoland drivers can rest easy when purchasing a vehicle from our dealership. Browse our Audi inventory online or in-person and then contact us to schedule a test drive in the luxury vehicle of your choice. It takes getting behind the wheel to truly appreciate the complete Audi experience. At the Audi Exchange, we're here to help Chicagoland Audi enthusiasts make that experience their own, every time they get behind the wheel. Our auto finance center goes the extra mile to provide the lowest possible price and a competitive lease rate on your next car. We'll make it easy for you to decide whether to buy or lease and secure an auto from a local lender at a budget-friendly price. With our expert assistance, you'll enjoy great savings on a luxurious car! At the Audi Exchange, we know your vehicle needs don't stop when you drive away in your new or used Audi. Your Audi deserves to be treated with the care and diligent attention it deserves on a consistent basis. Our dealership is proud to provide stellar Audi auto service and repair near Chicago, Schaumburg, Arlington Heights and the surrounding areas. The technicians at our Highland Park Audi repair center have years of experience servicing your exact model, so our work is completed in a timely, accurate manner, with genuine, OEM Audi parts that are built to last. The Audi Exchange is proud to be a prestigious Audi dealership in Highland Park, serving Chicago and all of Illinois. We invite you to explore our website at your convenience, and to visit our dealership from your Chicagoland communities. Our dedicated customer service professionals will provide you with welcoming guidance and an abundance of information about the Audi model or used luxury car that suits your needs. 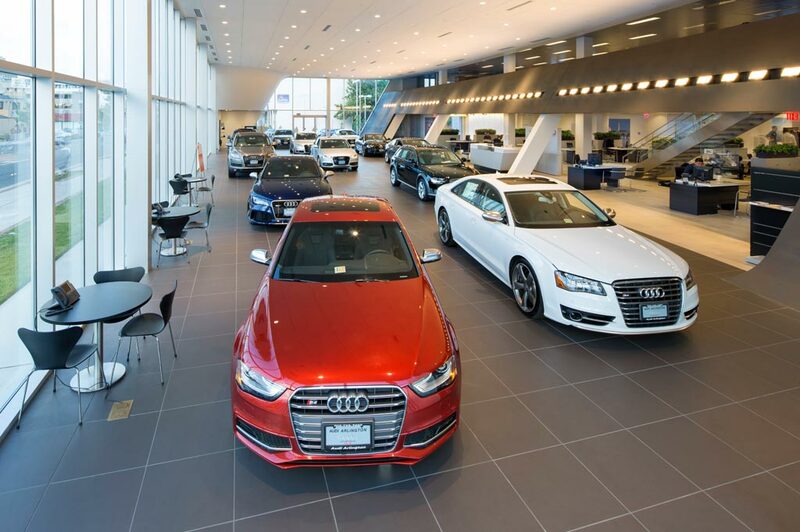 Audi Exchange in Highland Park, IL treats the needs of each individual customer with paramount concern. We know that you have high expectations, and as a car dealer we enjoy the challenge of meeting and exceeding those standards each and every time. Allow us to demonstrate our commitment to excellence! Our experienced sales staff is eager to share its knowledge and enthusiasm with you. We encourage you to browse our online inventory, schedule a test drive and investigate financing options. You can also request more information about a vehicle using our online form or by calling (847)432-5020.